Garbage is collected every two weeks. Green bins are collected every week. Recyclables are picked up on alternating weeks (black bin one week, blue bin the next). 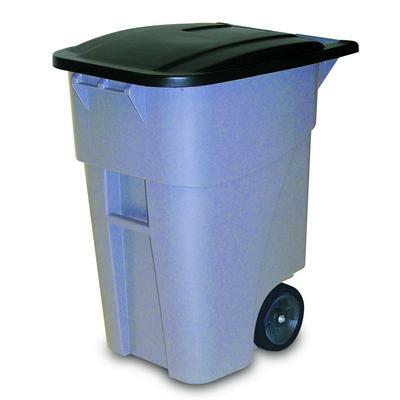 Blue bins and garbage are picked up the same week. Leaf and yard waste is collected with your green bin. Check your Collection Calendar to confirm your collection schedule. Not sure where an item belongs? Please check the Waste Explorer. Residents receiving curbside collection can set out up to six items every second week on garbage day. Put garbage at the curb any time after 6:00 p.m. the evening prior to your collection day and no later than 7:00 a.m. on your collection day. Do not put recyclables, organics or yard waste in plastic bags. To avoid collections issues, please do not use shopping bags or small white garbage bags when setting your garbage at the curb. Do not use cardboard boxes for garbage. Cardboard boxes are a recyclable item and must be placed in the black bin. 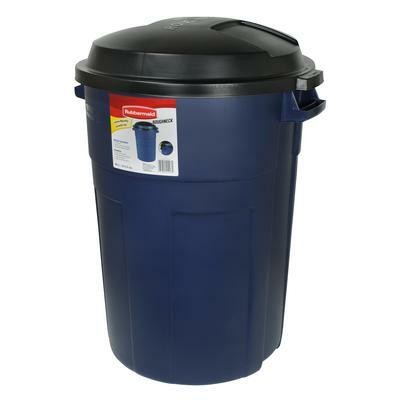 Make sure material is packaged or contained securely in a plastic garbage bag or garbage can to avoid loose debris. All garbage cans, bags or boxes should not weigh more than 15 Kg (33 lb). Sawdust, ashes and other material of similar nature go in your green bin. NO hot ashes please. Add leaf and yard waste to your green bin. Do not mix leaf and yard waste, recyclables and garbage together. All carpet should be tied and bundled. Bundles should be less than 1.2 m (4 ft.) in length, less than 60 cm (2 ft.) in diameter and less than 15 kg (33 lb.) in weight. Do not secure lid to garbage container with bungee cord/rope. No loose garbage inside container. 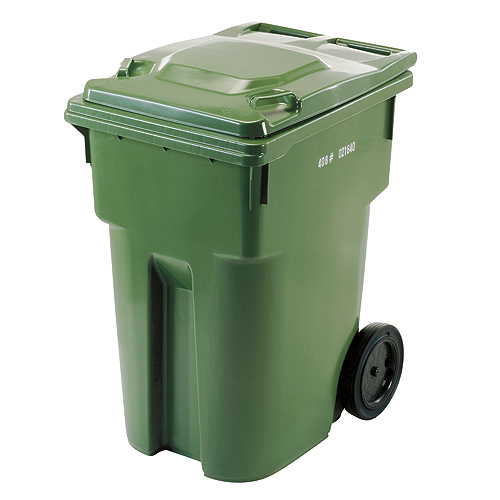 Waste collection operators will not reach into garbage cans to retrieve bags as it could cause injury. Do not place glass or sharp objects loose in plastic bags. Cardboard boxes must not be used as a garbage container. Cardboard boxes should be recycled or used for yard waste only. *Exception* A cardboard box can be used to dispose of broken glass. Place broken glass in a cardboard box. Close/seal/tape the box shut and clearly mark on the outside of the box "broken glass". Set cardboard box at the curb with your regular garbage. Oversized and overweight containers (+15kg/33lbs). Many wheeled containers are too big and too heavy when full. Containers must be less than 125 litres with no fixed lids. For more details on approved container sizes, visit the City's Solid Waste Management by-law. For more details on approved container storage outside of garbage day, visit Property Standards by-law, section 12. “Bulky items” that can easily be lifted into a collection vehicle such bicycles, floor lamps, mattresses, furniture, sinks, toilet bowls, barrels, pool pumps, pool covers and any other discarded materials, normally accumulated at a residential dwellings can be put out for collection on your garbage day. The total combined number of garbage containers and bulky items must not exceed six items every second week on garbage day. The week had a statutory holiday, in which case your regular collection day may occur one day later. Christmas trees will be collected on the same day as the green bin. Please remove all decorations and place it at the curb no later than 7 a.m. on your scheduled collection day. Trees will not be collected if wrapped in plastic bags or if frozen in snow banks. Recycling, green bin and garbage collection schedules will be delayed by one day for the remainder of the week, with Saturday making up for the missed day. For example, if your collection day falls on a Monday statutory holiday, collection would shift to Tuesday, a regular Tuesday collection day would shift to Wednesday, Wednesday to Thursday, Thursday to Friday, and Friday to Saturday. The Special Consideration waste program was created for residents requiring collection of diapers and incontinence products on the weeks without scheduled garbage collection. Participating households can place one bag of waste diapers and incontinence products out for collection on the alternating week from garbage collection. Once registered, participants can place one garbage bag of diapers and/or incontinence products at the curb on the alternating week from garbage collection, on the same day as your black bin. Please check the online calendar. Residents must renew their registration annually. If the registration has not been renewed before the one-year deadline, the address will be removed from the collection list. Please place the garbage bag at the curb any time after 6 p.m. the evening prior to your regular collection day and before 7 a.m. on your collection day. 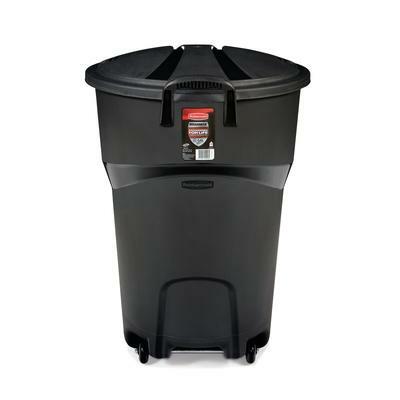 There is no need to identify the garbage bag in any special way, other than ensuring it complies with the City’s acceptable container requirements. For more details on approved curbside plastic garbage bags, visit the City’s Solid Waste Management by-law. Do you have some gently used items that you no longer need? Someone else may want them. Don't put your unwanted stuff in the garbage. Set them out at the curb on Give Away Weekend. Tour your neighbourhood, community and city to find hidden treasures. Please consider safety when deciding which items to set out to the curb. The Consumer Product Safety Bureau of Health Canada advises that used children's items such as baby walkers, yo-yo balls, cribs, car seats, strollers, playpens, bath seats, mattresses, blinds, toys and other child-related items should not be placed at the curb for Giveaway Weekend. Leftover items can be donated to charitable organizations. Check out Full Circles Ottawa who encourage the re-use of items that are already out in society and are no longer needed in their original homes. Other websites to help get rid of unwanted items include Ottawa Freecycle, Craigslist and Kijiji. Ottawa residents and businesses can dispose of waste material at this facility. Please note: Potting soil is currently not available for purchase at the Trail Road Waste Facility. Continue to monitor this page for updates on the availability of potting soil.